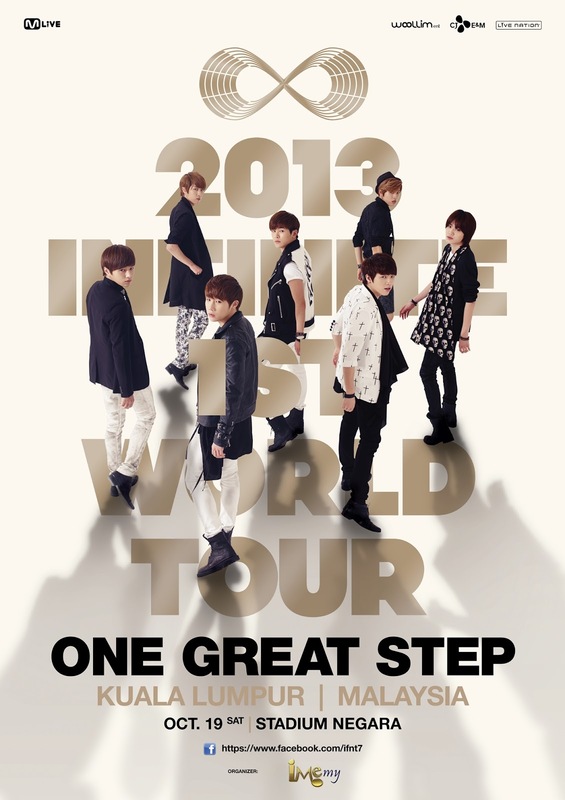 Organize by IME PRODUCTIONS,“2013 INFINITE 1ST WORLD TOUR - ONE GREAT STEP IN KUALA LUMPUR” finally kicked off in Stadium Negara on the upcoming 19th October 2013. INFINITE will kick off their "ONE GREAT STEP" concert in Seoul on August 9-10 2013 in Seoul.While the Seoul concert ticket sales opened online, fans immediately flocked to the site, leading the server to crash. The ticketing server was up and running again after an hour delay, and the concert tickets quickly sold out within few minutes. This event is brought to you by IME PRODUCTION.